The Digital Scholarship Lab is a joint UT Libraries and College of Liberal Arts initiative to build the technical capacity of students, faculty, and staff and facilitate the digital analysis of Benson holdings. 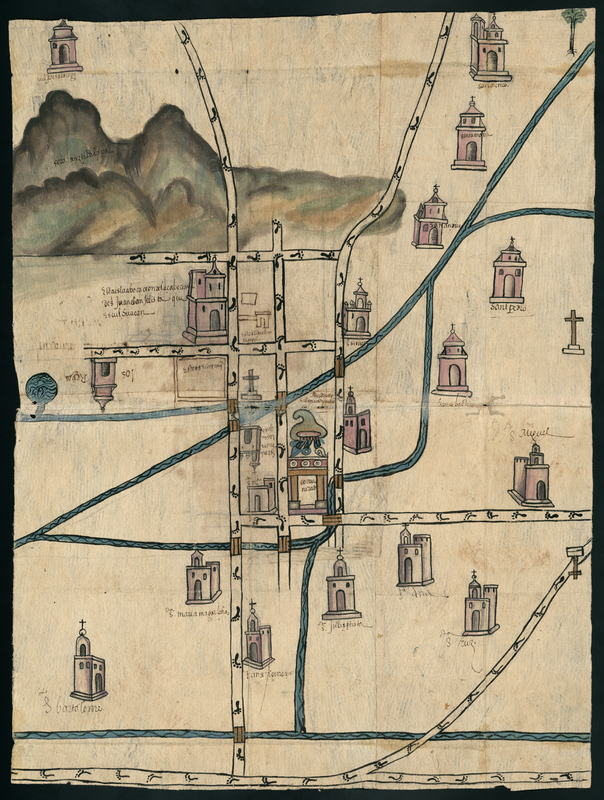 In 2017 LLILAS Benson Latin American Studies and Collections created these teaching resources as part of a traveling version of the exhibition titled: Mapping Mexican History: Territories in Dispute, Identities in Question. The project was funded through a US Department of Education Title VI public engagement and outreach programming grant. A digital version of the exhibition is available here. The digital materials available here are in the public domain and free for use in courses and research. Please cite the materials as coming from the Benson Latin American Collection, The University of Texas at Austin. About the Exhibition: The Mapping Mexican History: Territories in Dispute, Identities in Question exhibition composed of selections from the Nettie Lee Benson Latin American Special Collection first opened at the University of Texas at Austin in 2013. It focused on three distinct moments when maps played an integral role in the transformation of Mexico and its political geography. In the sixteenth century, early colonial pictographic maps drawn by indigenous artists reflect the growth of Spanish colonial administration. These maps show how indigenous elites adapted pre-Hispanic visual traditions to Europeanized forms of documentation to record their histories and defend claims to land and power. 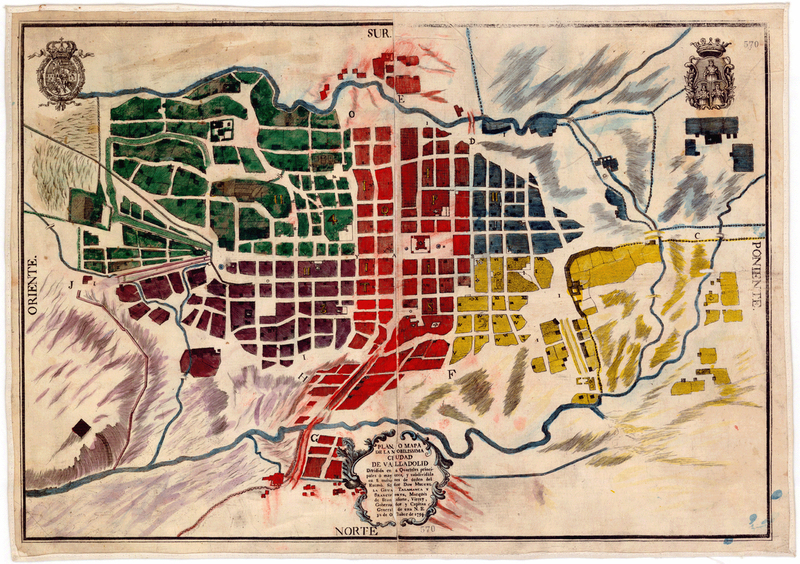 In the eighteenth century, new maps of Mexico’s principal cities serve as both representations and instruments of the viceregal government’s efforts to re-order and regulate Mexican social life and public spaces. And in the nineteenth century, maps are central to the military struggle for independence and the defense of contested national borders. About the Traveling Exhibit Project: In 2017, LLILAS Benson arranged for multiple original-size high resolution facsimiles, text and identification labels of the exhibition Mapping Mexican History: Territories in Dispute, Identities in Question. These traveling exhibitions in a box were displayed at a variety of institutions including South Texas College Library, University of Texas Rio Grande Valley Brownsville Library, and the Consulate General of Mexico in Austin. Alongside the display of the collection facsimiles, LLILAS Benson staff and project coordinators hosted multiple free workshops on using digital tools for research. Map of Culhuacán, or “a curved hill point” in Nahuatl, an indigenous community in the outskirts of Tenochtitlan (present-day Mexico City). This map, along with a written account, was a response to King Philip II’s request for information on their community. 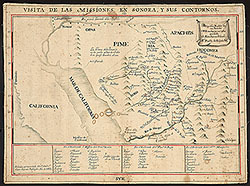 Map focuses on the region of Sonora with tables showing Los Partidos of San Francisco Xavier, San Francisco de Borja, and Santos Martyres. 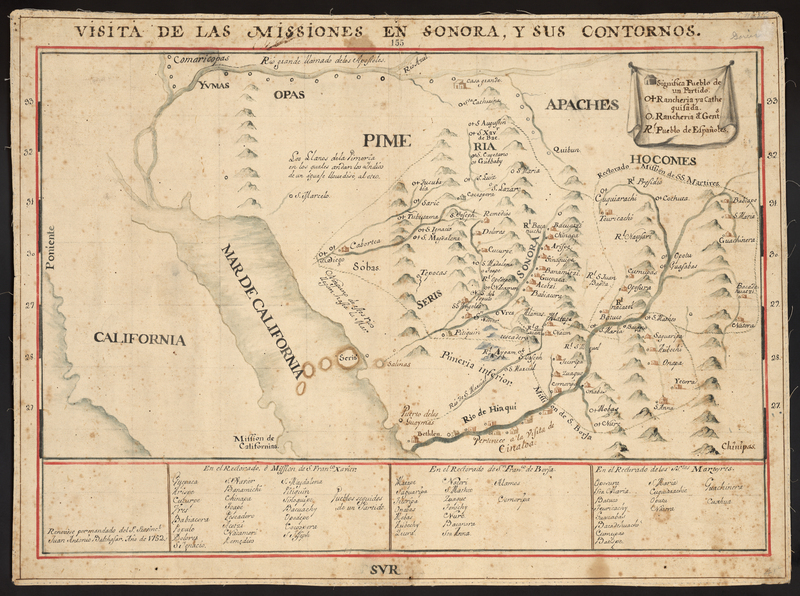 The map depicts primarily the North American Sonoran desert and the various missions established during the 17th and 18th century. 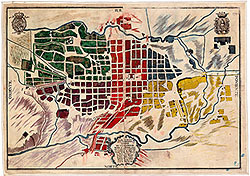 Map of Valladolid in Michoacan, now known as Morelia. 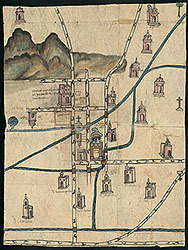 Before 1545, the city was called Guayangareo and Ciudad de Mechuacán.